The Wall Street Journal reports that the partnership will be announced on Monday by by company founder Michael Bloomberg and Twitter CEO Jack Dorsey. The combined streaming effort is expected to debut in the fall, with specific deployment details to be announced at a later date. "It is going to be focused on the most important news for an intelligent audience around the globe," said Bloomberg Media's chief executive officer, Justin Smith. "It's going to be broader in focus than our existing network." According to the report, the channel won't rely exclusively on rebroadcasting Bloomberg's existing television programming. It will also use a "curated and verified mix" of video harvested from Twitter as well, mostly focusing on current events rather than just "trending" topics. The feed will be Twitter's first continuous video feed. It had previously partnered with Bloomberg for coverage of the 2016 presidential debates. Bloomberg has total control of the content of the feed. Terms of the deal are not known. The service will be ad-supported. 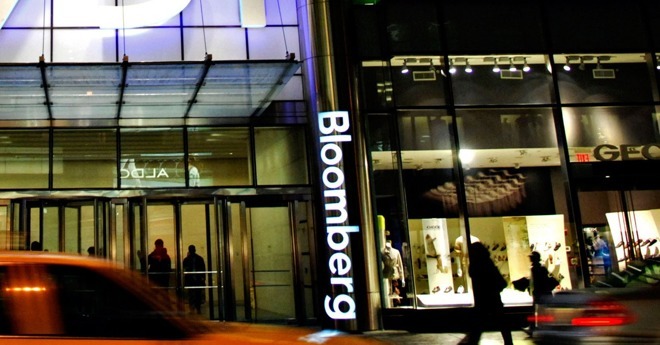 While Bloomberg Media was founded in 1981, the news wing of the organization wasn't launched until 1990. A leaked internal memo from 2015 penned by the editor-in-chief declared a refocus was coming, with a reduction on general interest, and a focus on business and economic topics —which appears to be contrary to the stated goals of the Twitter deal.